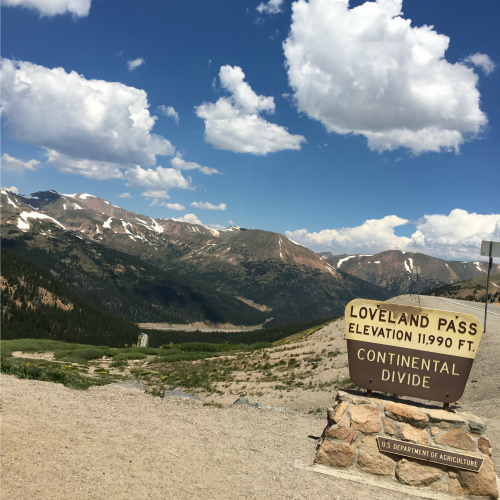 On our way back to Denver from Breckenridge, CO we took the scenic route to stop at Loveland Pass. 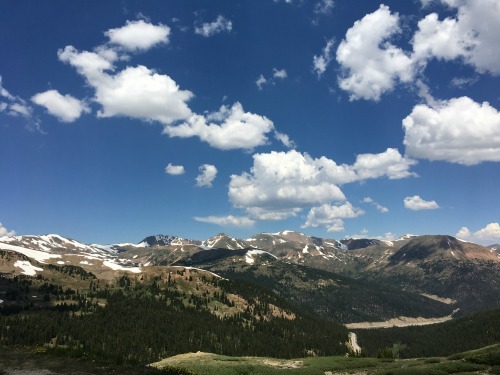 360 degree views of mountain peaks from ~12,000 feet above sea level provides a panoramic view of the Continental Divide. The drive up was amazing, rising 2000 feet along hairpin turns - I am glad we did the drive during the summer! I took this video walking up the stairs for a full view above it all.